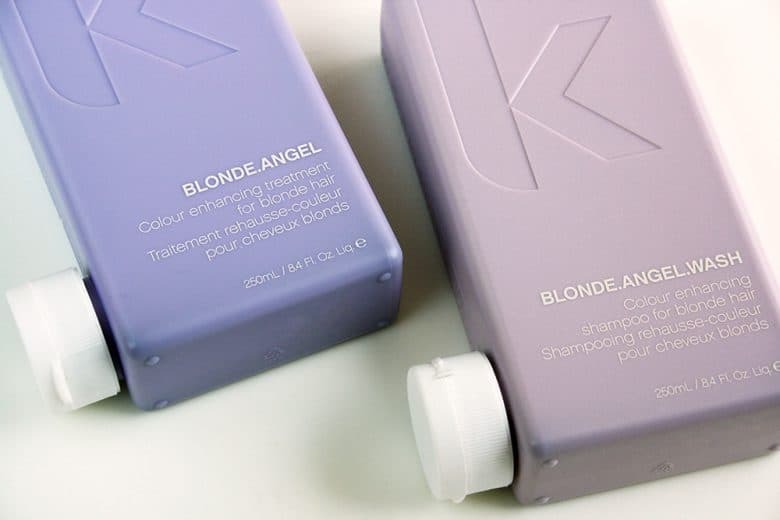 I’ve had blonde hair for a little while now, and two products I’ve been using are the Kevin Murphy Blonde Angel Wash Shampoo as well as the Blonde Angel Treatment. I need one more bleach job before reaching the pale blonde I want to go for, so this is how I’m dealing with the brassy tones in the meantime! The shampoo has an opaque purple color, and the treatment is even deeper and very pigmented. This blueish purple pigment counteracts brassy orange tones in blonde hair. I’ve noticed the brassiness in my bleached hair getting more golden. I’ve used both of these products every time I’ve washed my hair. Some may prefer using them every other wash, but my hair isn’t as light as I want yet. You don’t need a ton of this shampoo for your whole head, and it smells absolutely amazing. I would describe the scent as a sophisticated bubblegum in marzipan heaven. With a little bit of lime or bergamot thrown in. It’s a really pleasant gourmand type of scent that isn’t overly sweet. The treatment has the same rad scent. The instructions will tell you to leave it in for a minute, but Kevin Murphy recommends leaving it in for 3-5 minutes for better results. These products also give me plenty of moisture on their own, and this is considering that I have dry (read: fried) hair from bleaching it a few times. Typically my hair would get gummy and be impossible to brush after a shower, but this duo is detangling and very hydrating. Both products are paraben-free and sulphate-free. These are definitely made for girls with bleached hair. They’re also recommended for those with grey or blonde hair. If you have bleached hair and you struggle with brassy tones and dryness, definitely look into these two as a combo. For all of the reasons above, you’ll love the Blonde Angel line if you have bleached hair. If you’re looking for something silicone-free, these do contain some silicone (in conjunction with a load of more natural ingredients higher up on the list, to be fair). These products are also vegan. 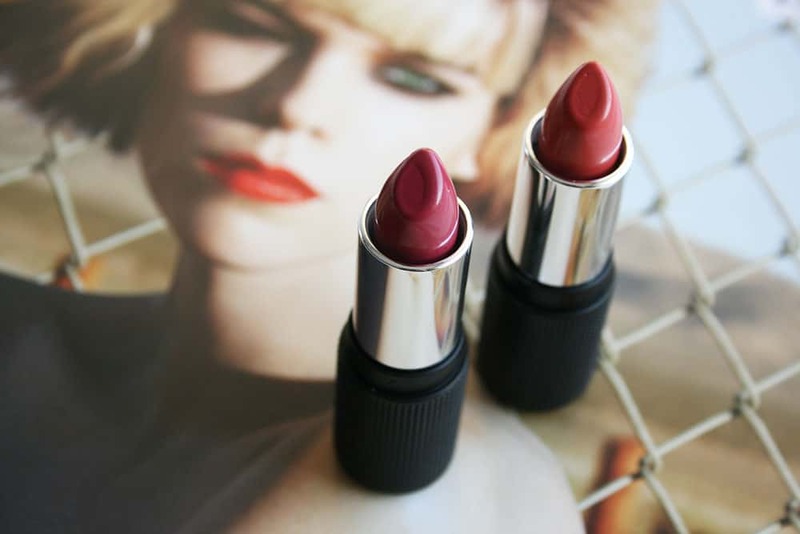 Neutralizes brassy or yellow tones. I wish these came in a bigger bottle than 250mL/8oz! If you have bleached, damaged, dry, brassy, or yellow blonde hair, give this dynamic duo a try. If you do want to try them out, the best way to purchase Kevin Murphy is at a salon. You can find a list for your area by clicking here. Thanks so much, you’re too sweet! 😀 Let me know if you have any specific topics or types of posts you’d like me to tackle! Hi Luisa and thank you! I was told this info by the Kevin Murphy team, so unfortunately I don’t have an exact source for you. 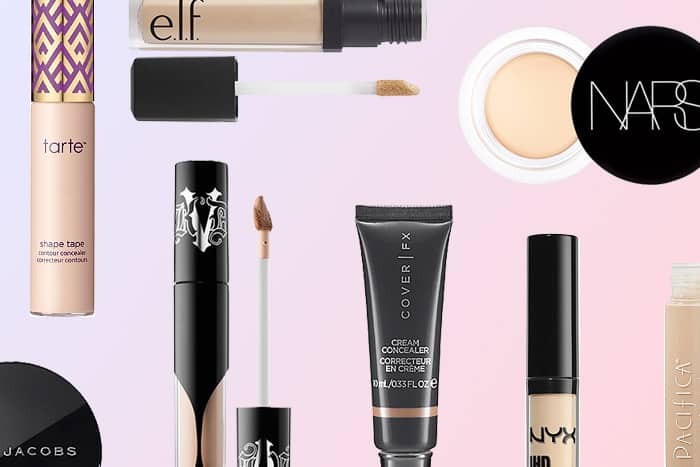 Do you know if all of their products are vegan?